When you opt for braces treatment, you are investing in your smile. But this is not just an investment in your appearance: it is in yourself. When you look good, you feel good—you show off your smile and make others feel good about themselves as well. Plus, straight teeth are healthier teeth, less susceptible to tooth decay, gum disease, and tooth loss. We never want the cost of braces or any form of orthodontic treatment to stop you from getting the treatment you need to look and feel your best. As such, we offer Damon Smile at an affordable and competitive price. There is no set cost for the Damon system. With each patient, there are different needs, and as such, different costs. Some factors that can change the cost of your braces treatment include the case difficult, length of treatment, and insurance coverage. If you have dental insurance, it should cover Damon Smile treatment in whole or in part, depending on the specifications of your benefits. As long as your coverage includes braces, you should not have a problem getting them to cover Damon Smile. However, we will contact your provider and ensure that we maximize your benefits. If you do not have insurance or your insurance does not cover treatment in full, we will work with you on creating a payment plan that allows you to correct your smile while staying within your budget. "I want to commend everyone at Advanced Orthodontic Specialists. Your great attention to detail and staff is so courteous and fun! If everyone could be as pleasant and helpful as they are, the world would be a much happier place!" "Thank you for providing exceptional service! The three members of our family have been happy with their results. The customer service and care you have for your patients is remarkable! Thank you for taking such great care of our family!" "Without a doubt! That Dr. Bicknell is the BEST orthodontist we have been to! (We have been to 3) He is thoughtful, wise and caring mannerisms put him above the rest! I would highly recommend Dr. Bicknell and his wonderful team! My entire family has Advanced Orthodontic Specialist to thank for our lovely smiles!" "Great doctor! I was always kept well informed as to what was going on. Great office and staff!" 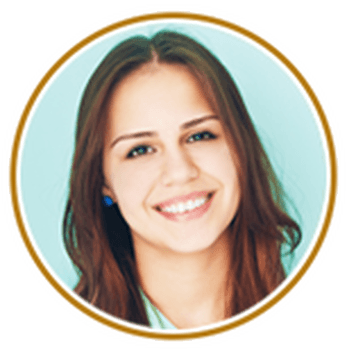 "My sister-in-law recommended Advanced Orthodontic Specialists and I am very happy with them! It is very nice that they are so accommodating since I have 3 children in braces. I also like that appointments truly are the time they say they are!"